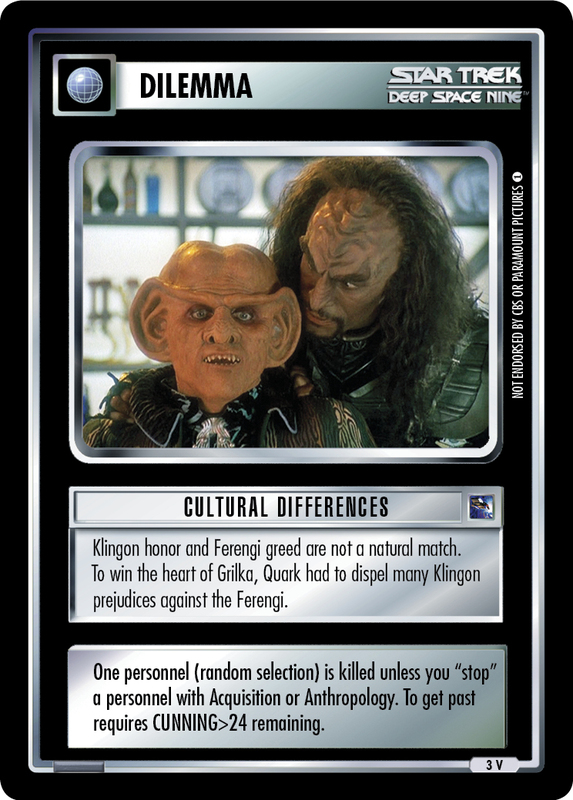 Klingon honor and Ferengi greed are not a natural match. 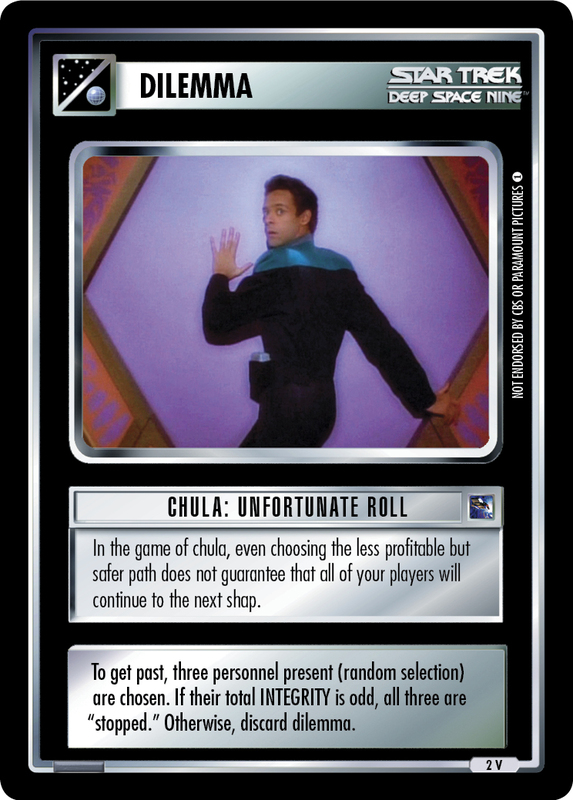 To win the heart of Grilka, Quark had to dispel many Klingon prejudices against the Ferengi. One personnel (random selection) is killed unless you "stop" a personnel with Acquisition or Anthropology. 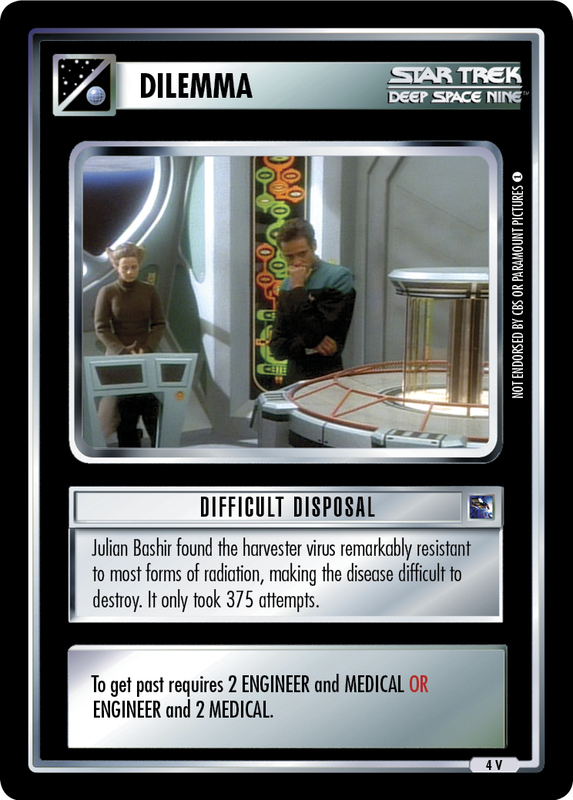 To get past requires CUNNING>24 remaining.